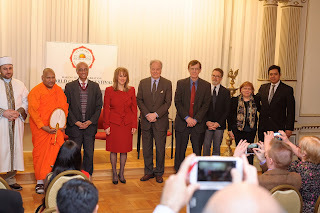 On February 23, 2016, Washington’s national and local thought leaders joined the Art of Living Foundation in hosting the first Curtain Raiser for the upcoming World Culture Festival. 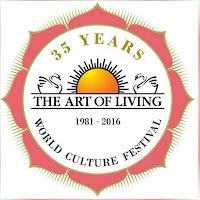 Held at the Art of Living Foundation’s Sri Sri Center for Peace and Meditation on 15th Street, NW, the standing-room only event was a prelude to the World Culture Festival (WCF) - the Foundation’s historic 3.5 million person gathering for peace in Delhi, India, from March 11-13, 2016. The evening saw attendance by several national and local leaders, including Congressman Ed Whitfield; Ambassador Taranjit Singh Sandhu, DCM, Embassy of India; Dr. Sanjay Pradhan, Vice President for Learning, Leadership & Innovation, The World Bank; and Rev. Dr. David McAllister-Wilson, President of Wesley Theological Seminary. Representatives of major faiths, other community leaders, and local residents also joined and expressed their solidarity with the cause. 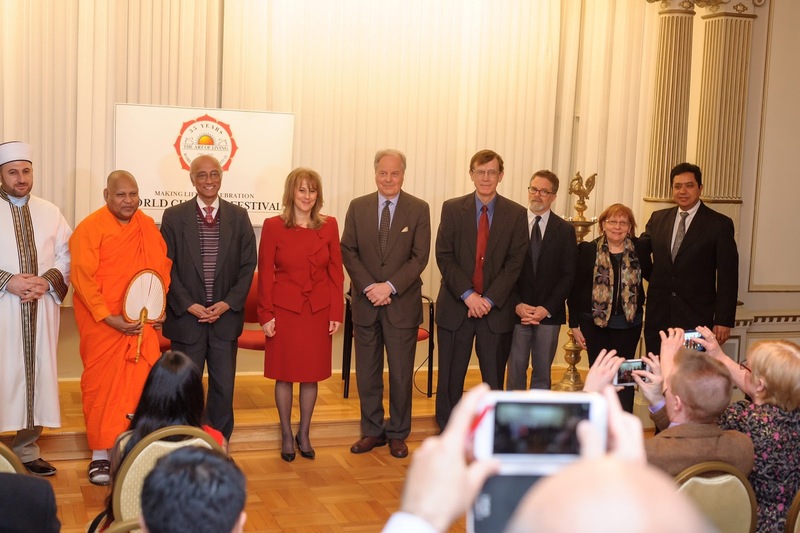 Symbolic of its goal, the evening commenced with a ceremonial lamp lighting ceremony by local representatives of major faiths, both Abrahamic and non-Abrahamic. The event also featured international cuisines, and encored performances by local hip hop, South Asian, and Mongolian artistes. The evening also featured a panel discussion on the “Dynamics of Enriching and Sustaining a Connected World” with Dr. Sanjay Pradhan , The World Bank; Filiz Odabas-Geldiay, Executive Director, International Association for Human Values; Rodney North, Director of Marketing & External Relations, Fairtrade America; and Dr. John H. Reed, President of the World Institute for Scientific Exploration. The Curtain Raiser is a precursor to the World Culture Festival. This three day cultural extravaganza to be held in New Delhi, India during March 11-13 will feature performances by 25,000 artistes, 30 global art forms on a massive seven acre stage and is expected to set multiple records. The brainchild of global thought leader and Art of Living Founder Sri Sri Ravi Shankar, the World Culture Festival is also a celebration of the Foundation’s 35 years of service toward humanity, spirituality and human values. Sri Sri says about the event, “Divisive forces and people who are spreading violence and hatred will have to wake up, and see that the world is coming together.” More than 3.5 million attendees, including international thought and social leaders, from 155 countries are expected to attend the event. 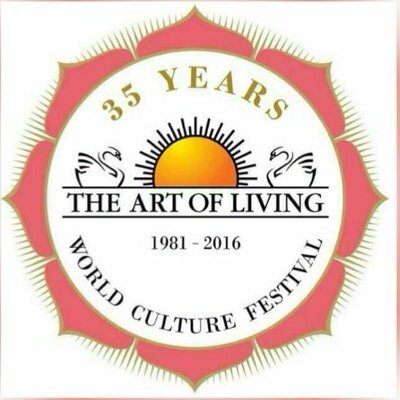 For more information about the WCF, please visit http://www.artofliving.org/us-en/world-culture-festival.